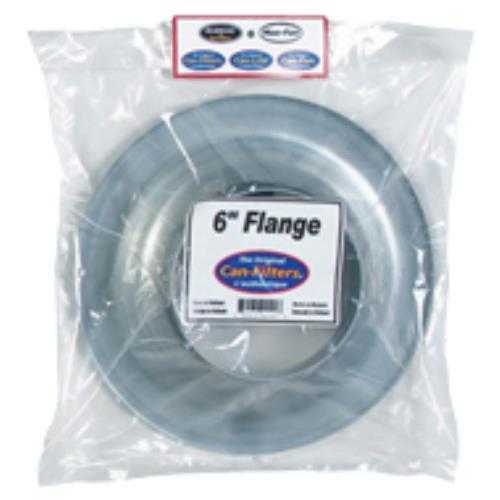 The flange is used to connect the Can-Filter® to the ducting or Can-Fan®, this is for airflow out of the ventilated area. These spun steel flanges come with a foam rubber seal and 6 hex drive self-tapping screws forming a perfect seal with Can-Filter® products. Flanges range in size from 4 - 20 inches depending on your specific needs.